Luckily for you, they are actually quite easy to make from an existing pair of pants, so here are the steps to follow. I recommend corduroy or wool (not denim, it wasn’t invented until 1853). 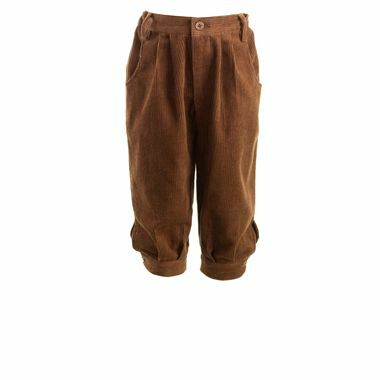 Here are a few tutorials on how to convert pants into knickerbockers, if you can sew. If you don’t sew, or don’t want to cut the pants up, you can “convert” a pair of pants by tying a piece of elastic just below the knee (you can use hair elastics) and puffing the pants out a bit around the knee so the elastic doesn’t show. Tuck the rest of the pants (below the elastic) into long socks.